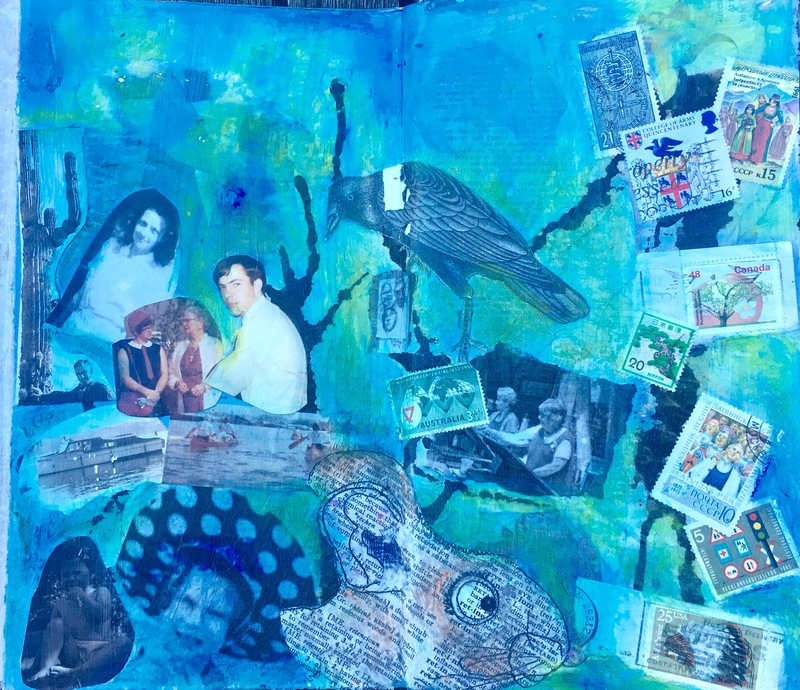 I spent a productive and fun-filled weekend taking a mixed media art journaling class taught by John Arbuckle (John’s blog) and Brian Kasstle (Brian’s website) in Edmonds. 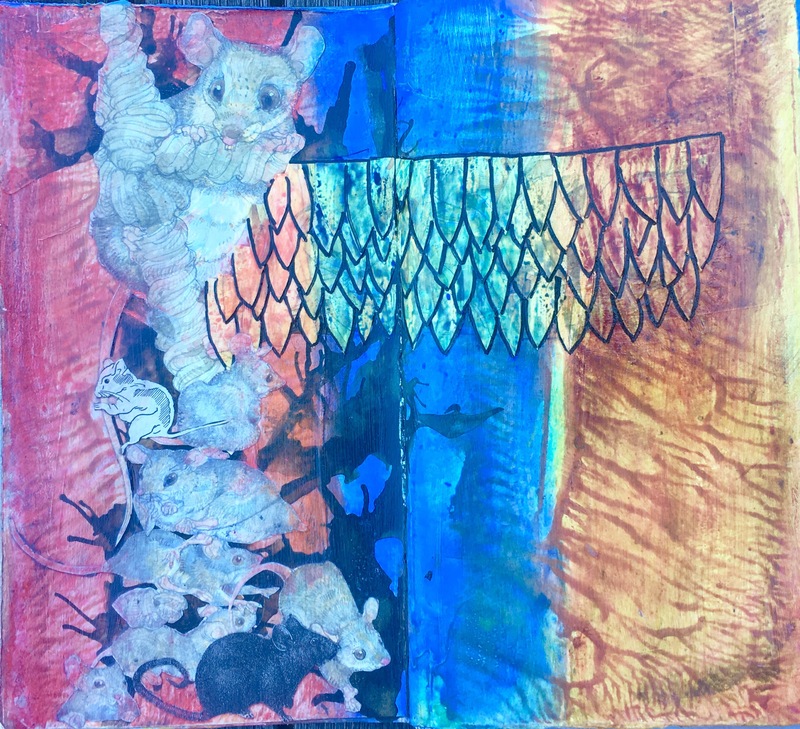 The class was filled with old friends and new and we all enjoyed two days of new techniques, lots of gelli printing and interesting ways to make meaningful narrative. 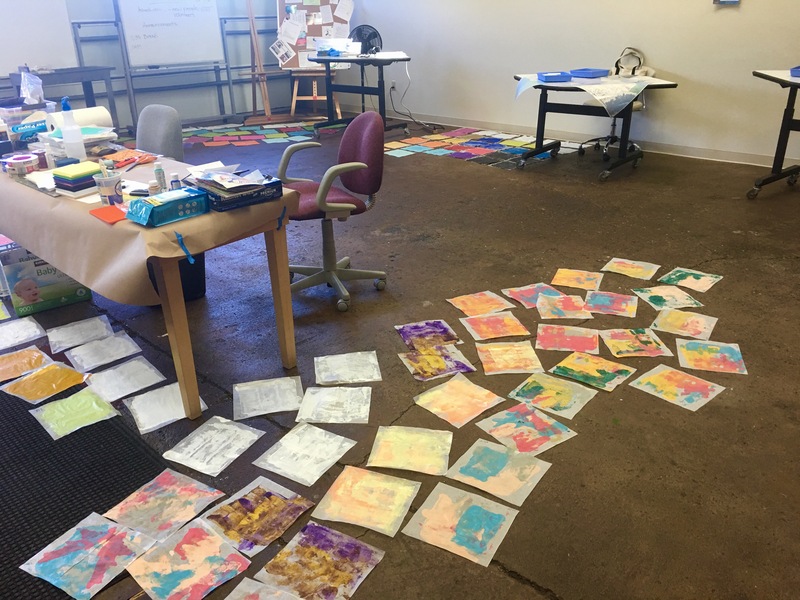 Many, many gelli prints were made on day one. This was John’s day to teach. 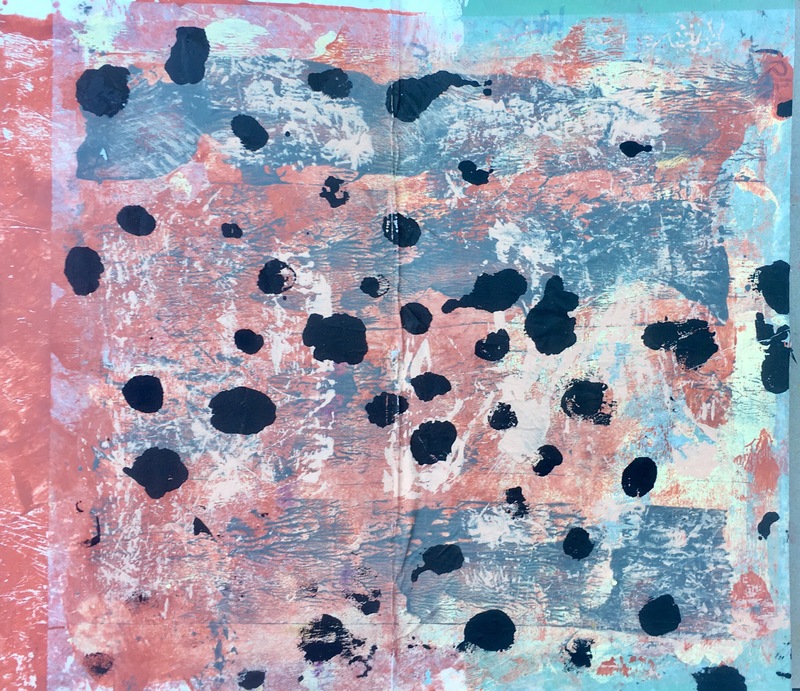 This is one of my gelli prints with some extra marks added. This is my totem spread using mice as my totem animal. I really have a love/hate relationship with the little critters. Brian led us through the process. It was fun! The only other spread I got semi-finished. It represents my past, present and future. This was a challenge. Tomorrow I will head off to Whidbey Island with art friends. We are all taking another class with Brian and John, this time through the Pacific NW Art School. Three more days filled with art making, laughing and spending time with dear friends. Lucky me! Great to read an exhilarating blog. Sweet fun thoughtful post, Michele. It was so wonderful to have you in class. Your work is amazing!!! I paid him to say that….